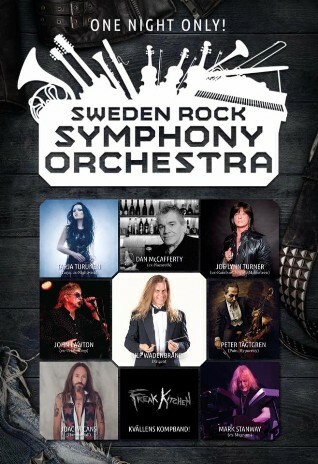 I had such a good time with Joe Lynn Turner, Joacim Cans, Mark Stanway,Peter Tägtgren, Dan McCafferty, John Lawton, Freak Kitchen, conductor Ulf Wadenbrandt and the Sweden Rock Symphony Orchestra today at Sweden Rock Festival. Thank you for making me feel like a queen for the night. I love you all!